Penny for your thoughts, Oppo? I don't really need a new car, but I think it might be time to upgrade just for the sake of upgrading. I've only ever had cheap compact cars, and I feel like I deserve something nicer. 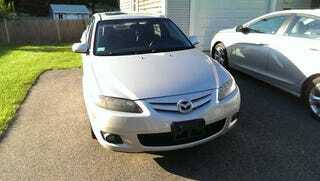 To that end, I've found this manual 2006 Mazda6 for a reasonable $3,500. Thoughts?